This Advent Treat Squeeze Box die set, it comes with numbers and the die to make squeeze boxes. You can hide treats and sweets inside, use at Christmas or for weddings, birthdays and baby showers. Your die is supplied on a thin clear plastic shim however additional shims may be required depending on the die cut system. The die can be used with paper, card stock, vinyl, vellum, adhesive-back paper and more. 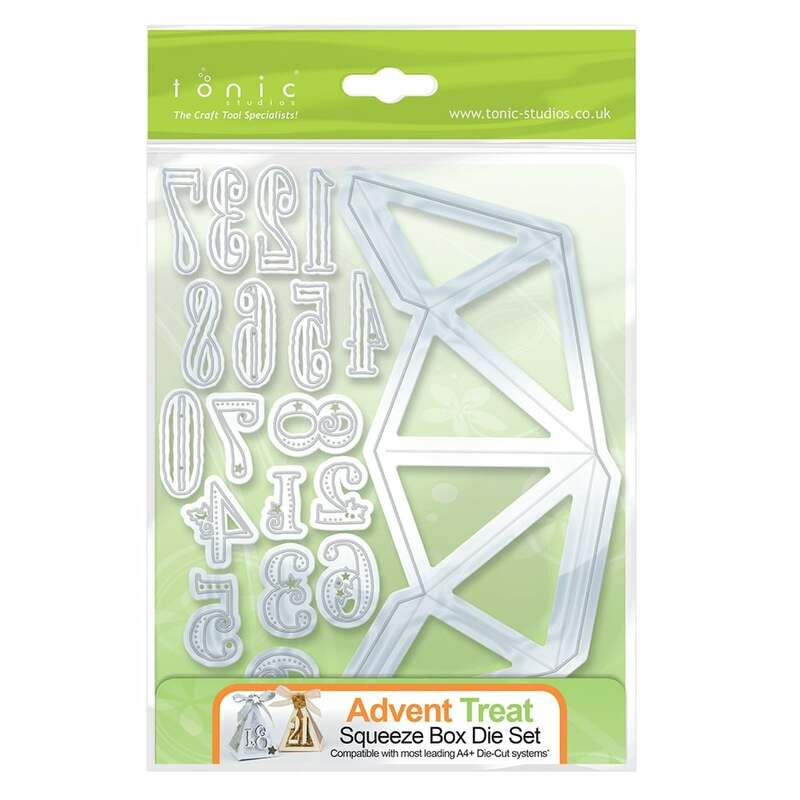 Can be used to cut shapes, emboss detail into die cut shapes or stencil through the die template for added impact.